“My mom worked as a paralegal for a plaintiff’s medical malpractice lawyer in Orange County, when I was growing up. She would tell me about the cases that they were working on and I was always fascinated. What made the greatest impression on me was how hard they fought for their clients and how their efforts could make a huge impact on their clients’ lives. I knew in the 1st grade that I wanted to be a lawyer. Of course, what I did not understand when I was growing up, were the challenges that MICRA presents,” says Amy Rose Martel, who made Partner at Chihak & Martel in early 2016. After growing up in Norco, CA, and earning her Bachelor’s Degree from the University of Washington, Martel moved to America’s Finest City in 2001 to attend the University of San Diego School of Law where she was a member of the Mock Trial team, and chair of the Pro Bono Legal Society. After graduation, Martel accepted a position with the defense firm she had clerked for while in law school. “I loved my job at Lincoln, Gustafson, & Cercos and could not have asked for a better group of people to work with. However, I knew that defending insurance companies was not my calling. I have been extremely fortunate throughout my life, and have been given so many amazing opportunities. I recognize that others are not as fortunate as I have been, and it is why I feel the need to help others and to give back to my community,” she explains. Fortunately, Martel is incredibly competitive by nature. An avid runner, she was the team captain of the cross country and track teams in college, she has completed marathons, half iron-man triathlons and she recently took up mountain biking. So, when a chance encounter as an associate pitted her against Cynthia Chihak, one of San Diego’s most respected and revered plaintiff’s medical malpractice attorneys, Martel did what she has always done. She geared up to compete. “In 2007 I was working on a large auto wrongful death case and Cynthia was the opposing counsel. She is straight up intimidating in deposition. I was immediately impressed with her, and worked ten times harder on that case, because I knew that unless I wanted to get crushed, I needed to be on my A game,” Martel recalls. Continuing she says, “While working on that case, I remember saying to my husband, as we drove past her office, “I am going to work for Cynthia Chihak someday.” I knew I wanted to work for her because she exemplifies everything I love about being a trial lawyer: she is hard working, smart, prepared and she is not afraid to fight for her clients. A year later we settled the case, and she offered me a job,” Martel says. Thus, in 2008, Martel joined Chihak’s established firm, and began cutting her teeth in the field of medical malpractice. Although the odds are stacked against plaintiffs, Martel says that the firm welcomes the fight. “Cynthia and I are both very competitive and neither one of us are afraid to put in the hard work that it takes to succeed. There is no substitute for working hard and being good at your craft.” Plus, she explains, although the partners are both competitive, they aren’t competitive with each other. Instead, when it comes to fighting for a client, the entire team works on the case, and all attorneys in the firm know exactly where the case stands. “We maintain a small caseload which allows us to give each case the attention it deserves,” she says. “We are fortunate to have big firm resources, and we refuse to cut corners, but we also don’t waste 8 hours in a deposition, when it can be handled in 2 hours.” Although Martel and Chihak are always representing the “underdog” in medical malpractice, or in select premises liability, product defect and personal injury cases, their reputation for civility in working with opposing counsel is well established. “Thanks to Cynthia’s years of dedication and success, our firm has an excellent reputation. I believe people know that we are honest, aggressive and not afraid to stand up for our clients. We are trial lawyers, not settlement lawyers. Every case we take, we prepare it like we will try it. We will not sell our clients short to avoid trial,” she says. 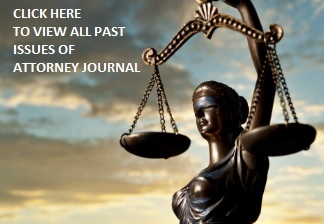 In spite of their reputation for going to trial, Martel explains that the firm has not only managed to build civil relationships with the defense attorneys they are opposing, but that she has become friends with many of the medical malpractice defense lawyers she routinely challenge. “We do see the same attorneys a lot, and we believe in civility. Of course, there are times when things become contentious, but overall we have excellent relationships with attorneys we oppose. In fact, when I made Partner earlier this year, several defense lawyers came to our party,” she says. Much of Martel’s passion for plaintiff’s work lies in the fact that there is frankly never a dull moment. In other words, the fact that she continues to be challenged to learn something new on a daily basis is exhilarating. “Medical malpractice is a tough field; you must be prepared to go toe-to-toe with a doctor in their field of expertise, which is not easy for someone with no medical background. But I would rather work until midnight than show up unprepared,” she says. “If I am going to be taking the deposition of a surgeon, I need to understand the medicine, the indications for the surgery, the surgical procedure itself and the potential complications, and be able to speak intelligently about it. I spend a lot of time doing medical research and I enjoy it. We also have terrific medical experts we have built relationships with, who we can call and ask questions about a particular procedure or aspect of the case,” Martel explains. In fact, the reputation of Chihak and Martel is so favorable, that Martel says that many of the firm’s cases are referred by physicians. “We have sued a doctor, and then had him refer us a case, and serve as the medical expert,” she says. Likewise, the firm also receives plenty of referrals from colleagues in other practice areas. “In some regards we are lucky, because there are not a lot of attorneys who do medical malpractice cases. We have earned the referrals, and the referrals that come to us are generally very good cases,” Martel says. In fact, referrals to Chihak & Martel from other attorneys, judges and doctors account for roughly 80% of the firm’s business. “Reading this in her own handwritten words brought me to tears. I wanted to do something for this little girl, other than just resolve her case. As it happened, my uncle had started a camp for seriously ill children in Carnation, Washington, in honor of my cousin who died from cancer. Today Camp Korey is part of Paul Newman’s SeriousFun Network of camps which help children who are ill to experience the simple joy of camp, the thrill of just being a kid, free of charge. I was able to get her a spot in the camp. For 7 days, she laughed, danced and most importantly, she felt like a normal kid. I got a picture of her from Camp Korey dressed up in a lion’s costume for a play she was in, and her smile was worth more than any verdict,” Martel says. In addition to supporting children’s causes, Martel is dedicated to helping those less fortunate in San Diego, through her role on the Board of Directors of Traveler’s Aid Society, a position she has held for more than a decade. “Traveler’s Aid is a private, nonprofit agency that provides crisis and short-term assistance for food, shelter, and transportation, for San Diegans in need. Our mobile mom’s program, for example, provides transportation to low-income pregnant women so that they can get to their pre- and post-natal appointments. We also provide rides to veterans and seniors to help them get to doctor’s appointments. Transportation is an often forgotten aspect of social services and we fill that gap,” Martel says. As far as the future is concerned for Martel, her game plan is firmly in place.In addition to continuing to provide unparalleled advocacy for clients who have been harmed through no fault of their own, or through her commitment to giving back to the legal community, and the San Diego community at large, Martel is very clear about what she hopes to accomplish in the future. “My mom always inspired me to work hard.